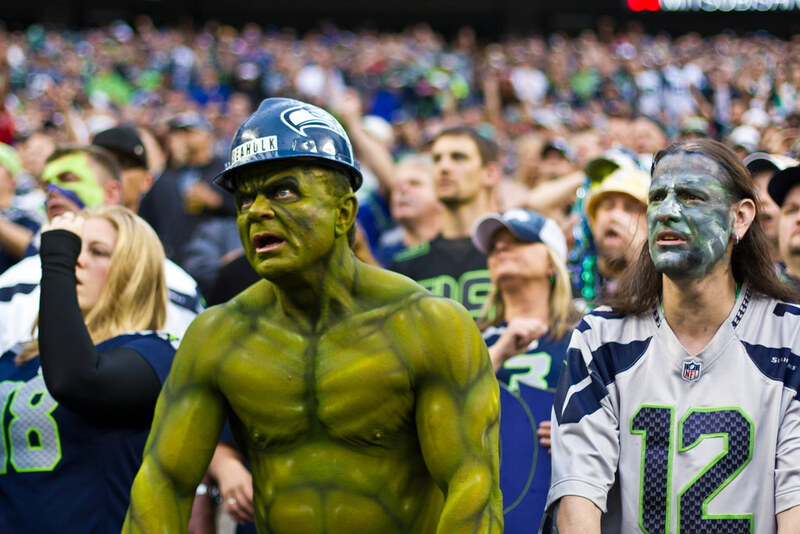 The Seahawks are raging towards yet another Super Bowl appearance (knock on wood, fingers crossed, etc. etc.) and we’re also about to witness another repeat of sorts: Super Bowl-themed marketing coming from all corners. According to Forbes, the Seahawks are the 15th most-valuable franchise in the NFL, taking in about $288 million as of August 2014. That represents a 23% jump from the year before, so yeah, winning the Super Bowl pays off for a team. The impact on the city of Seattle itself is a different story. It’s not as easy to quantify the direct benefit the Seahawks have on the local economy, but if you factor in the food, beverage, grocery, hotel, transit, nightlife, entertainment, transportation, and tourism industries, a lot of businesses in town benefit from the team’s presence simply by existing in the same area. Bottom line: if people want to watch the team, they’ll spend money to do so. A mortgage broker’s website doesn’t directly correlate to the home mortgage industry, but it does a good job of giving potential newcomers an idea of the city’s culture during football season and a pretty helpful history lesson to existing Seattleites. Plus, it’s fun, which everyone likes. This infographic from Radius doesn’t do anything for any business specifically, but it’s a good representation of the macro-level impact a winning professional team can have on the local economy. Super Bowls put the representing cities under a microscope as the media finds every angle possible to create a story. This one? Which city is better for small businesses as a whole, and we’re proud to see Seattle winning this battle. As far as social media goes, 67% of content marketers rate current events and timely posts as the most effective content marketing strategy. It’s an important piece of the puzzle to be sure, and nothing gets people excited on social media like a huge game. We’ll be tweeting, Facebooking, and blogging all throughout the game – both for our clients and on our own! Of course, this year will be a whole different story (again, fingers crossed). Rest assured the entire Marketeering Group will be cheering on the Seahawks come Sunday and regardless of the outcome, we’ll be looking forward to this year’s slate of Super Bowl ads.